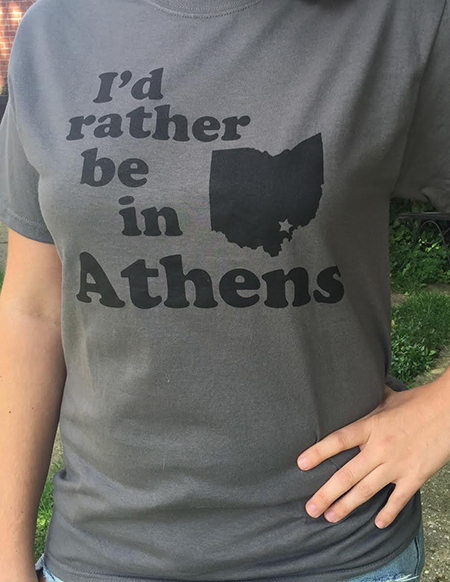 Through the month of August, place an order for $50 or more and we will throw in an I'd Rather Be in Athens tee for FREE! Honestly, you can't be free and who wouldn't rather be in gorgeous Athens, Ohio in the summer! No limitations, just spend $50 and get ready to show your Athens love.